Personal mobility has swiftly changed with the introduction of electric vehicles (EV) on the road, which is beginning to reshape the global transportation market. In 2016, EVs hit a new record with 750,000 units sold worldwide, bringing the total number sold to more than 2 million and marking a staggering increase after only crossing the 1-million threshold in 2015. The strategic location of Assam in proximity of the growing ASEAN (Association of Southeast Asian Nations) economies provides easy access to a market of over 800 million consumers. All major ASEAN cities are located geographically closer to Assam as compared to other states in India. Southeast Asian nations must bolster their alliances amid uncertainty over America’s foreign policy plans, former Indonesian president Susilo Bambang Yudhoyono says. The United States is a firm supporter of the Association of Southeast Asian Nations and its commitment to regional peace and stability, Defense Secretary Jim Mattis said during a briefing with reporters traveling with him on his fourth trip to Asia during his current post. Experts who gathered at a forum to discuss issues surrounding the South China Sea on Oct. 25 expressed concerns about increasing pressure from China. While they agreed on the importance of U.S. influence in the region, some called for unity within the Association of Southeast Asian Nations as the key to fending off Chinese aggression. 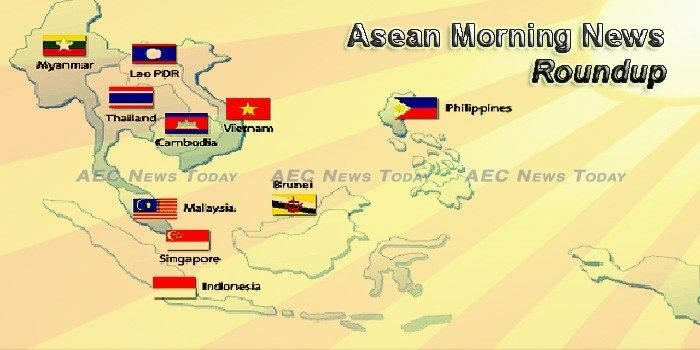 Asean’s push to loosen protectionist chains that prevent the 10-nation bloc from operating as a single, wide open sky, gained good momentum when the region’s transport ministers and officials met in Singapore recently. Often called the largest invisible workforce, there are almost 10 million domestic workers in Southeast Asia and the Pacific. More than 2 million are migrant domestic workers. In fact, domestic workers make up nearly 20 percent of all migrant workers in the ASEAN region. The vast majority are women. Hyundai Motor has kicked off a task force to tap deeper into the ASEAN market in an apparent move to offset its sluggish sales in China amid the prolonged diplomatic tensions, according to Chosun Biz on Oct. 25. The annual ASEAN Trade Fair, themed “Taste the Happiness”, kicked off on Wednesday in Seoul, displaying food and beverage products from the ten ASEAN member states. Business delegates from the 10 ASEAN region nations will meet African buyers, importers and potential partners at the Sandton Convention Centre from 6 – 8 November, for an expo and summit designed to boost already thriving trade between African and ASEAN nations. PHNOM PENH (Reuters) – A senator from Cambodia’s main opposition party was pardoned on Wednesday from the seven-year jail sentence he had been given over a Facebook posting, in a conciliatory sign from Prime Minister Hun Sen towards his opponents. Cambodia’s garment and footwear exports will likely see a slower percentage of growth this year at around 5 percent, compared with 7 percent in 2016, a trend that industry insiders dismissed as not being indicative of an overall decline or linked to the current political situation. Cambodia’s King Norodom Sihamoni has approved a set of controversial amendments to the country’s electoral law, paving the way for the dissolution of the opposition Cambodia National Rescue Party (CNRP) and the reallocation of its parliamentary seats to government-aligned parties. European aircraft producer Airbus has expressed its interest in cooperating with its Indonesian counterpart, state-owned aircraft company PT Dirgantara Indonesia (PT DI), to establish an aircraft maintenance, repair and overhaul facility in Indonesia, a senior minister has said. Flag carrier Garuda Indonesia posted a jump in third-quarter profit thanks to aggressive cost cuts that offset higher fuel prices, providing relief for the airline’s turnaround efforts. BlackBerry remains pleased with the performance of its handset Aurora – which in Indonesia has been licensed to PT BlackBerry Merah Putih (BBMP). The government has reaffirmed the new intake of civil servants for 2018 will be limited to 3,000, declining from the 5,000 employees recruited this year. The top inspector has proposed using tougher measures against violations of planning and financial discipline in order to prevent further losses to the nation. JERA Co, Japan’s biggest liquefied natural gas (LNG) buyer, said on Wednesday it signed a three-year LNG purchase agreement with a subsidiary of Malaysian state energy company Petroliam Nasional Bhd (Petronas) starting in 2018. ONE of the most common piece of advice a gamer gets is to get up and leave the house once in awhile. Good news gamers, now you can do just that, and still not give up your gaming needs at The Pantheon in One City, Selangor. Malaysia’s passport ranks at No 6 globally, and is as powerful as passports from Ireland, Canada, and the United States (US). The United Nations must help member countries with nation-building and development while understanding local conditions, said Myanmar President Htin Kyaw. Myanmar’s garment exports could reach up to US$3bn this year, new estimates show, boosted by an increase in investment and orders, particularly from Europe. Myanmar is set to receive a greater amount of the profit-sharing in a $7.2 billion deep-sea port development project in the town of Kyaukphyu in western Rakhine state, though negotiations with the main Chinese investor are ongoing, RFA reported on 24 October quoting a commerce ministry official. Trade officials are poised to meet with foreign buyers and brand owners of international garments companies to seek expanded access of markets and products which are outsourced in the Philippines. Despite the planned liberalization of the construction sector, the government will still prioritize Filipino contractors in its massive “Build, Build, Build” (BBB) program, which is seen to require an additional 2.5 million construction workers up to 2021. SINGAPORE is among the top performers in the Asia-Pacific Regional Cooperation and Integration Index, a new measure of the progress of regional cooperation and integration in the region. American companies and investments in Singapore generate tens of thousands, if not hundreds of thousands, of jobs, for Singaporeans, Prime Minister Lee Hsien Loong said on Wednesday (Oct 25 US time). Thailand on Wednesday marked the start of a lavish, five-day funeral for King Bhumibol Adulyadej with a Buddhist religious ceremony attended by senior members of its royal family. The junta leader has announced that the regime will use absolute power to speed up the construction of the the Eastern Economic Corridor (EEC). The cabinet has approved in principle a draft bill that seeks to encourage and protect people who provide information about suspected corruption in government bureaucracy. As part of the ASEAN Trade in Goods Agreement (ATIGA), Việt Nam will cut 669 tariff lines to zero per cent starting in January 2018. Experts and policy makers gathered at a forum held by the Central Institute for Economic Management (CIEM) in Hanoi on October 24, to discuss policy solutions for 2018-2020 in order to boost growth model reform in Vietnam. A Vietnamese student activist was jailed for six years plus four years of probation by a local court on Wednesday for conducting propaganda against the state, his lawyer said.